Location, location, location. Historic Printers Row 1200 sqf with 2nd Jr. bedroom/den, washer/dryer hookup, freshly painted. Huge living with dining and eat-in kitchen, ss appliances, granite counter tops and extra storage. 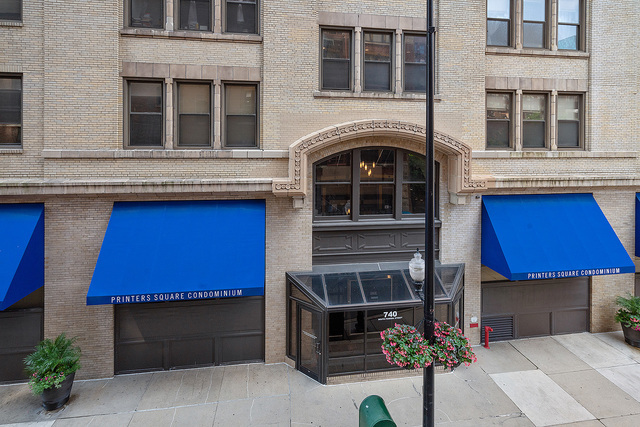 Windows w/east exposure, 9ft ceiling, and incredible closets make this the best value, fitness cent & garage rental parking on-site. Agent owned. I was searching on Blue Fence and found this listing. Please send me more information about 740 South Federal Street 210, Chicago, Illinois 60605. Thank you.